Associate Professor Robert Ali is a public health physician and specialist in addiction medicine who graduated from Adelaide Medical School. He is Director of Community Based Treatments at Drug & Alcohol Services South Australia, as well as the Director of a WHO Collaborating Centre for Research into the Treatment of Drug and Alcohol Problems based at the University of Adelaide. Robert is a member of the Australian National Council on Drugs, and a member of the Cochrane Alcohol and Drug Group editorial board and the WHO Expert Advisory Panel on Drug Dependence and Alcohol Problems. Dr Shalini Arunogiri is a consultant psychiatrist with specialist qualifications in addiction psychiatry. She has extensive clinical experience in the addictions field and has worked as a clinician across both mainstream mental health services and the drug and alcohol sector. She also has research interests in addiction psychiatry, and in the neurobiological underpinnings of addictive disorders. Her areas of interest include the diagnosis and management of comorbid mental health and substance use problems, and psychostimulant use. Robert Batey is a Professorial Fellow in Medicine at Flinders University, at Alice Springs Hospital, Northern Territory, Australia, and concurrently Clinical Professor of Medicine, University of Sydney, Senior Staff Specialist (part-time) in Addiction Medicine at John Hunter Hospital, Newcastle, New South Wales, Australia. Professor Batey is Chair, Academic Board of the Sydney Institute of Traditional Chinese Medicine, and Chair, Pharmaceutical Credentialing Subcommittee of the Medical Committee, NSW Ministry of Health. Lynda Berends is a health services researcher who specialises in the study of the design and delivery of alcohol and other drug services across acute and primary health settings. She is interested in the ways that organisational culture and settings impact client journeys into and through treatment and support systems. Dr Berends is a senior researcher at the Centre for Health and Social Research, Mary MacKillop Institute for Health Research, Australian Catholic University. She worked for many years as a research leader at the Turning Point Alcohol and Drug Centre, in Melbourne. Associate Professor Yvonne Bonomo is a physician in both Adolescent Medicine and Addiction Medicine at St Vincent’s Hospital Melbourne, and at Parkville Youth Justice Precinct and Women’s Hospital Alcohol and Drug Service (WADS). She is also Clinical Associate Professor in Medicine at the University of Melbourne. Her clinical and research interests are in early intervention in alcohol and other drug use. Associate Professor Bonomo was a Member of the Board of the Australian Drug Foundation (2006–2009) and she has been Chair of Education Addiction Medicine and President of the Chapter of Addiction Medicine at the RACP. She is currently Subspeciality Editor for Addiction Medicine on the editorial board of the Internal Medicine Journal as well as an Expert Adviser to the WHO on Youth and Substance Use. Jonathan Brett is a staff specialist in clinical pharmacology and addiction. He has an interest in the pharmacology of drugs of addiction. He was on the editorial committee of the current Toxicology and Wilderness Medicine Therapeutic Guidelines and is actively involved in both public health and clinical research in this area. Lucinda (Lucy) Burns is Associate Professor at NDARC and Chief Investigator on Australia’s national Drug Trends program, which incorporates the Illicit Drug Reporting System (IDRS), the Ecstasy and Related Drugs Reporting System (EDRS), the National Illicit Drugs Indicator Project and the Drugs and the Internet Project. Taken together these projects report annually on Australia’s illicit drug markets as well as trends over time. Associate Professor Burns holds a Master of Public Health, PhD and Graduate Certificate in Health Policy. Her research interests include drug and alcohol treatment and the epidemiology of alcohol and other drug use, with a focus on particularly vulnerable populations. Dr Sascha Callaghan is a lawyer and lecturer in health law and bioethics in the Faculty of Law at the University of Sydney. Dr Callaghan has published numerous research articles in the area of decision-making in mental health and the law of involuntary treatment. She is a member of the Ethics of Clinical Practice Committee for Sydney Local Health District and a former member of the Medical & Community Health Human Research Ethics Advisory Panel at the University of New South Wales. She is also a director of Capacity Australia, a not-for-profit organisation conducting research and education on decision-making in cognitive disability. Dr Adrian Carter is Senior Research Fellow, School of Psychological Sciences, Monash University, examining the impact of neuroscience on our understanding and treatment of addiction. He received the Australasian Professional Society of Alcohol and Other Drugs Early Career Award for Excellence in Research and Science (2012) and the Australian National Drug and Alcohol Award for Excellence in Research (2010). He has published two books, including Addiction Neuroethics: The Promises and Perils of Addiction Neuroscience (CUP, 2012) and has been an adviser to the World Health Organization and United Nations Office on Drugs and Crime on the use of coercion in drug treatment. Milton Cohen is a specialist pain medicine physician and rheumatologist and a conjoint professor in the St Vincent’s Clinical School at UNSW Australia in Sydney. He is a Fellow of the Royal Australasian College of Physicians and is a past Dean of the Faculty of Pain Medicine of the Australian and New Zealand College of Anaesthetists. Dr Cohen has been prominent in the development of pain medicine as a discipline, with particular interests in pain theory and practice, rational pharmacotherapy for pain, and implications of persistent pain for public policy. Kate Conigrave is an addiction medicine specialist and public health physician at Royal Prince Alfred Hospital. There she provides treatment for alcohol or drug use disorders in outpatient and inpatient settings. Kate is a Conjoint Professor at the University of Sydney and has acted as an editor of two clinical texts, Addiction Medicine and The Handbook for Aboriginal Alcohol and Drug Work. She has received the Senior Scientist Award of the Australasian Professional Society on Alcohol and Other Drugs. Professor Conigrave has had the opportunity to work in partnership with Aboriginal communities in urban, regional and remote Australia over the past 15 years. Dr Kenneth Curry is an addiction medicine physician based in Sydney, Australia. He works as a senior staff specialist in two hospital-based drug and alcohol services and in private practice. He has developed teaching for Sydney Medical School students in addiction medicine and in spirituality in medicine, and is a clinical senior lecturer in the Discipline of Addiction Medicine. He also regularly teaches on addiction medicine in South-East Asia. Andrew Dawson is a clinical pharmacologist and toxicologist and is currently the Clinical Director of the NSW Poisons Information Centre and Senior Staff Specialist at Royal Prince Alfred Hospital. He has extensive clinical and research experience in Australia and Asia. His major research interests are in relative toxicity of compounds and public health interventions to reduce poisoning. Louisa Degenhardt is Professor and NHMRC Principal Fellow at the National Drug and Alcohol Research Centre (NDARC) of the University of New South Wales. She has been involved in a wide range of work examining the epidemiology of drug use, comorbid mental health problems, cohort studies, and illicit drug market surveillance. Professor Degenhardt was the lead academic on the Secretariat for the Reference Group to the United Nations on Injecting Drug Use and HIV (2007–2010) and continues to work with the World Health Organization and UNAIDS. She co-chaired the Expert Group on mental disorders and illicit drug use for the 2010 Global Burden of Disease project and is on the core analytic team for GBD 2.0. Associate Professor Apo Demirkol is a consultant in Addiction Medicine and Public Health Medicine. He works at the Langton Centre as a clinician, and provides inpatient and outpatient services to people with substance use problems. He is the clinical lead in the provision of Drug and Alcohol Consultation and Liaison Services at the South Sydney Local Health District. He runs a Drug and Alcohol outreach clinic at the La Perouse Aboriginal Community Health Centre. He is also a conjoint Associate Professor at the School of Public Health and Community Medicine, University of New South Wales. Dr Dore is a Consultant Psychiatrist, the Clinical Director of the Northern Sydney Drug & Alcohol Service, and a Clinical Associate Professor (University of Sydney, Sydney Medical School – Northern). She also works as a hearing member for the Medical Council of New South Wales’ Health Program. Dr Dore has extensive clinical and research experience in general adult psychiatry and addiction medicine, in both mental health and drug and alcohol settings. Her key areas of clinical and research interest include the assessment and management of comorbid mental health and substance use disorders, and involuntary treatment for severe substance dependence. Brian Draper is Conjoint Professor, School of Psychiatry, and Deputy Director, Primary Dementia CRC, University of New South Wales, Sydney, Australia. He is Director, Academic Department for Old Age Psychiatry, Prince of Wales Hospital, Randwick, and Honorary Senior Research Fellow at Neurosciences Research Australia. Dr Draper is Board Member, International Psychogeriatric Association (IPA), and member of the WHO Consultation Group on the Classification of Mental and Behavioural Disorders in Older Adults for the ICD-11 revision. He has published on professional development, old age mental health services, carer stress, suicidal behaviour, depression, dementia and substance use in late life. Adrian Dunlop is Area Director and Senior Staff Specialist, Drug and Alcohol Clinical Services for the Hunter New England Local Health District, Chief Addiction Medicine Specialist in the Mental Health, Drug and Alcohol Office in the NSW Ministry of Health, Conjoint Associate Professor in the School of Medicine and Public Health, Faculty of Health, University of Newcastle, and a member of the Priority Research Centre for Translational Neuroscience and Mental Health with the Hunter Medical Research Institute and the University of Newcastle. Associate Professor Nadine Ezard is the Clinical Director of the Alcohol and Drug Service, St Vincent’s Hospital. A founding fellow of the Australasian Chapter of Addiction Medicine, she has worked with drug and alcohol users for over 20 years. Most recently she has worked overseas with the UN and WHO, with a particular focus on conflict and emergency settings and refugee and displaced populations. Her work on alcohol use in a Thai refugee camp earned her a PhD in Public Health, awarded in 2011. Dr Ezard has a personal commitment to human rights and social justice. Recognising the importance of social determinants of health inequalities, she has a particular interest in building the evidence base for public health-clinical care linkages for reducing substance-related harm. Dr Danielle Florida is an Addiction Psychiatrist in both the public and private sector in Sydney. Her area of research is group psychotherapies for comorbid clients. Bradley Freeburn is a Bundjalung man from the mid-north coast of New South Wales. He is the coordinator of the Drug and Alcohol and Mental Health Unit of the Aboriginal Medical Service Co-op Ltd Redfern. This unit initiated the first opioid treatment unit in an Aboriginal Medical Service in Australia. Mr Freeburn is a member of the NSW Aboriginal Drug and Alcohol Network (ADAN) Leadership Group, and has been a member of the National Indigenous Drug and Alcohol Committee (NIDAC) and a board member of the National Aboriginal Torres Strait Islander Health Worker Association (NATSIHWA). Dr Matthew Frei is an addiction medicine specialist who has worked in the alcohol and drug sector for the last 15 years. He is Director of Treatment Services at Turning Point, part of Victoria’s Eastern Health. His work history includes several years as a senior medical adviser with the Victorian Doctors Health Program. He has a long standing commitment to medical undergraduate education and holds an adjunct senior lecturer position at Monash University. He has been actively involved in the Australasian Chapter of Addiction Medicine, including holding the position of Chapter President up to May 2015. His professional interests include the assessment and monitoring of individuals with impairment related to substance use disorder in safety-sensitive occupational settings, including the assessment and care of health professionals. Coral Gartner is a senior research fellow at the School of Population Health and UQ Centre for Clinical Research of the University of Queensland. She holds a NHMRC Career Development Fellowship. Her research uses a variety of research methods and designs, including epidemiological studies and clinical trials, to identify and assess the potential impact of new strategies to accelerate the decline in smoking prevalence and reduce harm to continuing tobacco users. She is a senior editor for the BMJ journal Tobacco Control. Associate Professor Alan Gijsbers is a specialist physician in Addiction Medicine. He is the first Head of the Addiction Medicine Service at the Royal Melbourne Hospital and the Medical Director of the Substance Withdrawal Unit at the Melbourne Clinic Richmond. He is an honorary clinical associate professor at the University of Melbourne, attached to the Royal Melbourne Hospital Clinical School. He is a foundation fellow in the chapter of Addiction Medicine of the Royal Australasian College of Physicians and a fellow of the Royal Australasian College of Physicians. He is the national President of ISCAST, a group of Christians interested in the interaction between science and religion. Adrienne Gordon is a full-time Neonatal Staff Specialist in the Royal Prince Alfred Hospital Centre for Newborn Care and a Clinical Senior Lecturer at the University of Sydney. She has extensive clinical experience both in Sydney and in Glasgow, United Kingdom, in management of high-risk babies born to mothers with a history of drug or alcohol use. She currently supervises the Neonatal aspect of the RPAH Perinatal and Family Drug Health Service, which includes running the postnatal follow-up clinic, providing antenatal and postnatal consultations, and managing babies post-delivery, as well as liaising with community health services and child protection services where required. Her research interests are in the area of adverse perinatal outcomes, particularly stillbirth and perinatal infection. She has a Master of Public Health and a PhD, and expertise in a variety of research techniques including case-control studies, observational cohorts, randomised controlled trials, systematic reviews and meta-analysis, and linkage and analysis of large population based datasets. Associate Professor Linda Gowing is the Principal Research Officer (Evidence-Based Practice) at Drug and Alcohol Services South Australia, and an affiliate in the Discipline of Pharmacology at the University of Adelaide. Associate Professor Gowing has extensive experience in the preparation of systematic reviews; she is a member of the editorial board for the Cochrane Drugs and Alcohol Group and an Assistant Editor for the journal Addiction. Wayne Hall is a Professor and Director of the Centre for Youth Substance Abuse Research at the University of Queensland and a Visiting Professor at the National Addiction Centre, Kings College London; the London School of Hygiene and Tropical Medicine; and the National Drug and Alcohol Research Centre, University of New South Wales, where he was Director 1994–2001. He was formerly an NHMRC Australia Fellow in addiction neuroethics at the University of Queensland (2009–2014). He has also advised the World Health Organization on a range of drug and alcohol related issues. Jennifer Harland is the Global Coordinator of the Alcohol, Smoking and Substance Involvement Screening Test (ASSIST) at the DASSA WHO Collaborating Centre, University of Adelaide, Australia. Jennifer is a Registered Nurse and has completed a Master of Science (Addiction Studies) and a Master of Arts (Applied Ethics). Jennifer Harland has extensive clinical, teaching and policy experience in the area of addiction. She has held positions in detoxification centres, opioid treatment programs, rehabilitation facilities, tertiary teaching institutions, and Australian state and national government agencies. Lucy Harvey-Dodds is a Staff Specialist in Addiction Medicine in South Eastern Sydney Local Health District (SESLHD). She holds membership of the Royal College of General Practitioners (UK) and fellowship of the Chapter of Addiction Medicine (Royal Australasian College of Physicians (RACP)). Dr Harvey-Dodds has extensive experience working with women who use drugs and/or alcohol during pregnancy, having developed a clinic within the SESLHD Drug and Alcohol service to specifically address their needs. She has contributed to the writing of the 2014 NSW Health Clinical guidelines for the management of substance use during pregnancy, birth and the postnatal period, and the RACP Drug Use in Pregnancy and Parenthood online module (e-learning portal). Her research focus is on the contraception needs of women who use drugs and/or alcohol. Dr Islam is a Lecturer/Research Fellow at the Australian Primary Health Care Research Institute, Australian National University. Before joining the Australian National University, Dr Islam worked at several organisations in several positions related to clinical and health service research. He has performed a substantial volume of research on illicit drug use, benzodiazepines and prescription opioids utilisation in Australia. At the initial part of his research career he worked extensively on health service planning in a developing country setting. Dr Mihaela Ivan is a public health physician and medical epidemiologist with research interests in prevention and control of communicable diseases, health-related attitudes and behaviours, evidence-based public health, and the interface between clinical practice and public health. She has worked for more than 12 years in public health, in both governmental and academic institutions in Australia, Canada and Europe. Carly Johnco is a postdoctoral research fellow at the University of South Florida, and a registered clinical psychologist in Australia. She has a particular interest in developmental issues affecting the onset, maintenance and treatment of mental health problems in youth and older adults. Dr Johnco coordinated a NSW Drug and Alcohol research grant–funded project based at the Dementia Collaborative Research Centre, University of New South Wales, focusing on the prevalence, identification and treatment of substance use problems in older people. Dr Lisa Juckes is a general and addiction psychiatrist with experience working in both public sector and private practice mental health and drug and alcohol services. She has a particular interest in managing co-occurring mental health disorders and addictions with individual patients as well as group therapy. Kylie Lee is from Darwin. She trained as a music therapist and then did her PhD in substance use and mental health disorders in remote Arnhem Land communities. She now holds an NHMRC postdoctoral fellowship in Aboriginal and Torres Strait Islander Health. Dr Lee is joint coordinator of the Graduate Diploma of Indigenous Health (Substance Use) at the University of Sydney and the matching Masters course. She has produced films about tobacco, cannabis and alcohol and other health issues with the Anindilyakwa people and The Perfect World Production Company. Michael Levy is the Director of Justice Health Services (ACT). He is a Public Health Physician with national and international experience in prisoner health. He has worked with the World Health Organization and the European Committee for the Prevention of Torture (CPT); missions to Hungary and the United Kingdom. He resumed active clinical practice in 2007, developing the primary care model for adult and juvenile persons in detention. Dr Levy has a distinguished publication record with over 100 peer-reviewed publications since 1987, and a number of book chapters. He is on the Editorial Board of the International Journal of Prisoner Health. Associate Professor Nick Lintzeris is an addiction specialist and is currently the Director of Drug and Alcohol Services, South Eastern Sydney Area Health Service. He helped establish Turning Point Alcohol and Drug Centre in Victoria. He has also been appointed as an Associate Professor at the Discipline of Addiction Medicine, University of Sydney. His PhD focused on the treatment of opiate dependence and he has published extensively in this field. Professor Dan Lubman has worked across mental health and drug treatment settings in both the United Kingdom and Australia. He is Director of Turning Point and Professor of Addiction Studies and Services at Monash University. Dr Lubman’s research is wide-ranging and includes investigating the impact of alcohol and drug use on brain function and the relationship between substance use and mental disorder, as well as the development of targeted intervention programs within school, primary care, mental health and drug treatment settings. Dr Lubman has published over 250 peer-reviewed scientific papers and book chapters, and is Chair of the Royal Australian and New Zealand College of Psychiatrists’ Section of Addiction Psychiatry. Dr Joanne Ludlow is an obstetrician and gynaecologist. She runs the Early Pregnancy Assessment Service at Royal Prince Alfred Hospital, Sydney, and looks after many pregnant women who use substances. She has published research articles and continues to present at national and international meetings. Sara E Mgaieth is a general physician and a gastoenterologist. Her interests are in hepatology, including alcohol liver disease. Dr Bridin Murnion holds undergraduate degrees in pharmacology and medicine from the University of Edinburgh. She is a fellow of the Royal Australasian College of Physicians in Clinical Pharmacology, Fellow of the Faculty of Pain Medicine of the Australia New Zealand College of Anaesthetists, and Fellow of the Australasian Chapter of Addiction Medicine. Dr Murnion is a Senior Staff Specialist at RPAH and Concord Drug Health, and Clinical Senior Lecturer at the University of Sydney. Ju-lee Oei is a neonatologist at the Royal Hospital for Women, Randwick, New South Wales. She is also Conjoint Associate Professor in paediatrics at the University of New South Wales, Randwick. Her special interests are in the care of substance-exposed mothers and infants and she conducts an outpatient service at the Sydney Children’s Hospital for newborn infants affected by maternal drug use, the first service to describe outpatient management of children with neonatal abstinence syndrome. Phillip Paull has 45 years of experience working in pathology laboratories. He has a particular interest in liquid chromatography. Dr Paull was awarded a PhD for work performed in the Department of Clinical Pharmacology at St Vincent’s Hospital Sydney. He currently works in Clinical Biochemistry at Royal Prince Alfred Hospital in Sydney. Natasha Perry is a clinical and health psychologist with experience working with trauma, dual diagnoses, parenting and child protection. Dr Perry works as a Clinical Leader in Drug and Alcohol Clinical Services, Hunter New England Local Health District, Newcastle, Australia. She completed her Doctor of Clinical and Health Psychology at the University of Newcastle, where she is a Conjoint Lecturer. She has undertaken addiction research with parents who use substances. Throughout her career, she has had her work presented at several national and international conferences. Matthew Peters is a respiratory medicine physician and Director of Respiratory Medicine at Concord Hospital, Sydney. He has a long-term interest in treatment of tobacco dependence and in public health policy approaches to reduce the harms of tobacco use. Dr Sharon Reid is a general practitioner with a particular interest in addiction medicine and women’s and children’s health. Dr Reid works as a Medical Officer at Royal Prince Alfred Hospital, Drug Health Services, Sydney, New South Wales, and is also a Senior Lecturer in Clinical Epidemiology at the School of Public Health, Sydney Medical School, the University of Sydney. Dr Gary Reynolds has been an opioid prescriber at Canterbury Hospital Drug Health Service since 2011. A graduate of the University of New South Wales, he worked in surgery and pathology in the United Kingdom before becoming a Consultant in Public Health Medicine. Later, he qualified as a UK general practitioner, working with disadvantaged groups from a mobile surgery with rural travelling. Dr Reynolds completed RCGP training in Substance Misuse Management in Primary Care while working in Prison Primary Care/Drug Health before his return to Australia. Maryanne Robinson is a postgraduate psychology student (BA psychology, writing) at the University of Newcastle and has a general nursing background. She has a Diploma of Shiatsu and Oriental Therapies and has spent over 20 years as a shiatsu practitioner and trainer at Shiatsu Australia and TAFE. Maryanne is currently working at the University of Newcastle on a research project addressing smoking cessation and mental health. Craig Rodgers works as a Staff Specialist in Addiction Medicine at St Vincent’s Hospital and as a general practitioner in Darlinghurst. He was previously the Medical Unit Manager of the Kirketon Road Centre in Kings Cross. He completed a Masters in Public Health at the University of New South Wales in 2005 and is a Conjoint Lecturer in their School of Public Health and Community Medicine. He also works for the Australasian Society of HIV Medicine (ASHM) as a clinical adviser and contributes regularly to their training programs as well as to the further education of general practice registrars. Robin Room is a sociologist who has previously directed alcohol and drug research centres in the United States, Canada and Sweden. He is a Professor at the University of Melbourne and at Stockholm University, and the Director of the Centre for Alcohol Policy Research at Turning Point in Fitzroy. Professor Room does research on social, cultural and epidemiological studies of alcohol, drugs and gambling behaviour and problems, on social responses to alcohol and drug problems, and on the effects of policy changes. 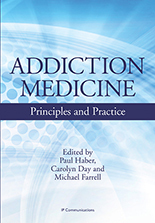 John B. Saunders is a Professor and Consultant Physician in Internal Medicine and Addiction Medicine, with appointments at the Universities of Queensland and Sydney. His career as a clinician, service director, researcher and academic in addictive disorders extends back over 40 years. He has been a member of many state and federal Australian government committees, including the Australian National Council on Drugs (2001–2007). He has worked with the World Health Organization and was responsible for developing the AUDIT Questionnaire. He is a member of WHO’s Expert Advisory Panel on Substance Abuse. He has published four books and over 330 scientific papers. Dr Devanshi Seth, Principal Scientist at the Drug Health Services, and Group Leader – Alcoholic Liver Disease (ALD) at the Centenary Institute of Cancer Medicine and Cell Biology, Royal Prince Alfred Hospital, is an internationally established researcher focusing on the genetic, cellular and clinical aspects of ALD. She leads two prestigious international grants (NIH/NIAAA, AISRF) and six national grants approximating $3.95 million; since 2003 she has published 15 original papers, one invited commentary, five reviews, four book chapters, 17 published abstracts, 15 invited presentations, 30 abstracts (H-index = 14); received awards from professional international alcohol/liver societies and the Australian Academy of Science; and is peer reviewer for grants and more than15 journals. Jen Sloane is a registered nurse with 10 years’ experience in critical care paediatrics, community adolescent health, and state-wide health programs. In recent years she has worked with incarcerated and homeless young people and has a passion for delivering innovative and quality primary health care initiatives within these cohorts. Jennifer Sloane has been a regular tutor for Masters of Nursing and Masters of Public Health students, and has a particular interest in quality improvement, human factors research and project management within a paediatric and adolescent context. Dr Ingrid van Beek is a public health and addiction medicine physician whose work at the sharp end of harm reduction was recognised in 2010 when she became a Member of the Order of Australia. She had been the Director of the Kirketon Road Centre (KRC) in Sydney’s Kings Cross, which is among the world’s most integrated targeted primary healthcare services for vulnerable populations, since 1989. Dr van Beek was also the founding Medical Director of Australia’s first Medically Supervised Injecting Centre (2000–2008). Nick Walsh is a clinician and public health physician. He has worked in harm reduction since 1998 and addiction medicine since 2002. In the late 1990s he worked with a number of harm reduction initiatives in South West Sydney including the Indo-Chinese Outreach Network in Cabramatta and South-West Sydney which engaged young Indo-Chinese injecting drug users in culturally appropriate harm reduction and drug treatment services. He has worked intermittently with Indigenous communities in northern Australia since 1998 and consulted throughout Asia since 2002. He is currently based at the Western Pacific Regional Office of World Health Organization in Manila. Robert West is Professor of Health Psychology and Director of Tobacco Studies, Cancer Research UK Health Behaviour Unit, Department of Epidemiology and Public Health, University College London. He is Editor-in-Chief of Addiction. He is a long-standing researcher and communicator on aspects of tobacco addiction and cessation. He is a member of a range of advisory and steering boards on aspects of tobacco policy. His website contains a range of his presentations and publications. Adrienne Withall is a senior lecturer and senior research fellow within the School of Public Health and Community Medicine at the University of New South Wales and a clinician within Aged Care Psychiatry at the Prince of Wales Hospital. Dr Withall’s specialty is younger people with cognitive impairment or dementia, including cognitive changes due to chronic drug and alcohol abuse. Her interests include educating health professionals and service providers to better meet the needs of this group as well as better understanding risk factors and preventive strategies for early onset cognitive decline. She is also a member of the NSW Ministry of Health’s Dementia Expert Advisory Group.